Oh baby has this bump been craving dresses! I am not usually a dress person but lately it is the only thing that I have been wanting to wear (besides my tights and husband’s tees, but that shouldn’t count). 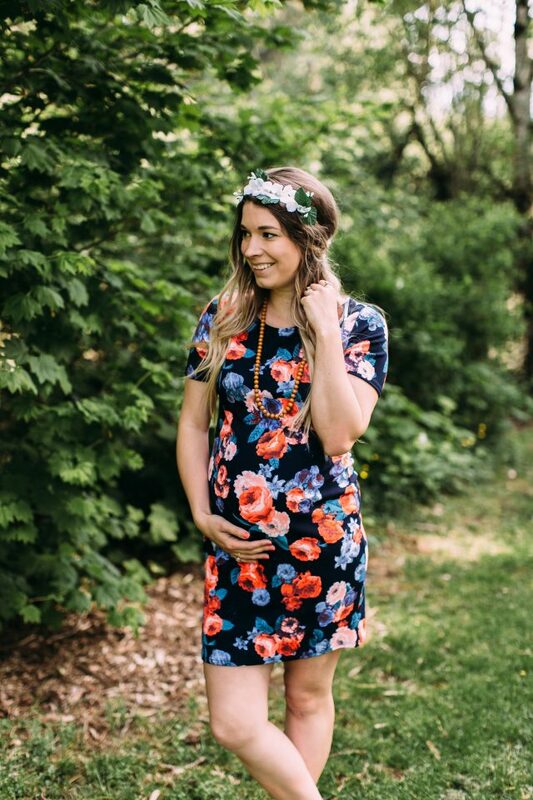 When this cute floral maternity dress arrived from Pink Blush Maternity I knew it was going to become a new favorite! The material is so comfortable and breathable allowing me for so much comfort as well as functionality. 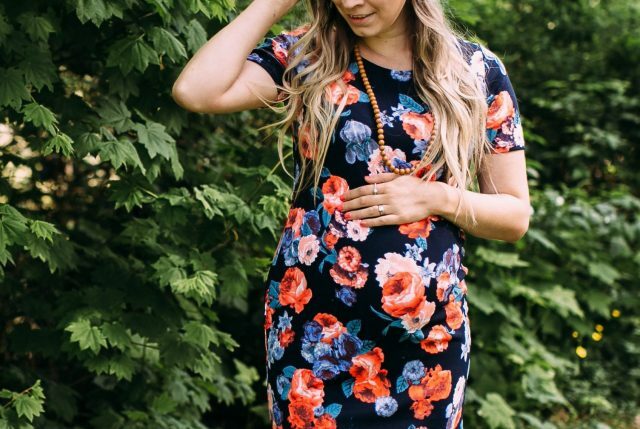 With the hot weather already rolling in I know this maternity dress is going dress is going to be on repeat, I have been so very impressed by the quality I have found in my maternity clothes. Sometimes spending the extra money on maternity doesn’t always seem like the most practical because you are only living in it for a few shorts months in the long term scale, but when you find something that will look cute in your maternity closet and in your regular non-maternity closet (when that time comes) I think you have found a win win! 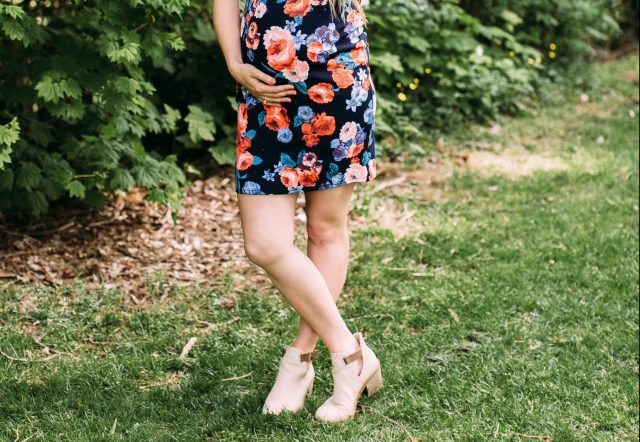 Because I love this dress so much and would love for one of you to be able to treat yourself to something (maybe this same floral maternity dress or perhaps a long flowy maxi maternity dress, it is up to you) I am giving away a $75 shop credit to Pink Blush Maternity just by filling in the entry form below, goodluck! GIVEAWAY RULES AND REGULATIONS: If upon choosing a winner she has already won a PinkBlush giveaway with 3 months, she will not be eligible to win, winners must wait 3 months before they are eligible to enter to win again. A giftcard will not be issued if you are selected and you have won a Pink Blush Giveaway within the last 3 months. Entries open to residents of Canada and the USA. Must adhere to all rules and regulations of Rafflecopter. 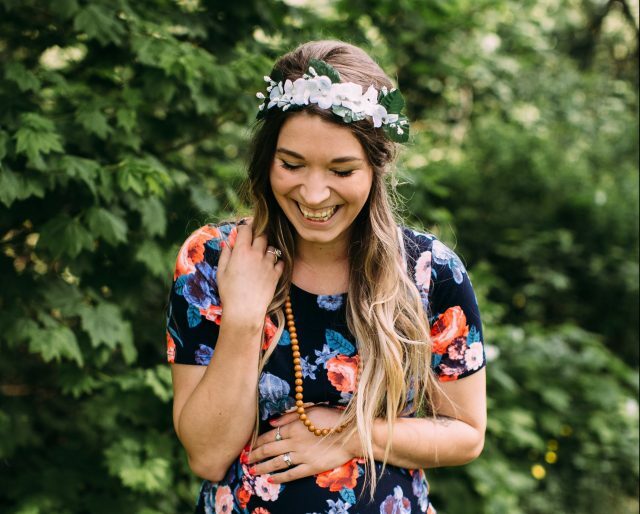 Pink Blush Maternity and Julie Christine Photography!